Standup paddle boarding continues to grow in popularity, and if you’re new to the sport, there’s no better feeling that setting afloat your brand new paddleboard for the first time. The makers of the Zray X1 inflatable SUP make a good case that your first board should be a Zray X1. The Shanghai-based company says the X1 inflatable is its lightest, more portable inflatable SUP, designed to go where your water adventures take you – no matter if you need to get there by land, sea or air. This Zray SUP weighs just 16.3 pounds and is constructed with military grade skin to be tough and durable. The board’s six-inch thickness provides the type of stability needed for paddlers, especially beginners who need to practice their stance and technique. The X1 is considered an all-around board that you can use for touring, recreation and other activities in flat water, river runs and even small waves (for experienced users). Read on for a review of the Zray X1 9-foot, 9-inch Inflatable Stand Up Paddle Board. Zray is a top inflatable stand-up paddleboard brand. The company meshes European design with one of the most robust manufacturing capabilities in the industry, based in Shanghai, China. For the X1, engineers used a military-grade reinforced drop stitch that creates an outer skin that is six inches thick. This helps alleviate concerns about dings or scratches when the board comes into contact with any hard surfaces such as rocks or car roofs. The edges of the board are made of Tarpaulin-meshed PVC cloth for enhanced air-tight properties and are covered with PVC core rail seam tape for optimum rocker control. The board’s footpad is grooved and soft to the touch to provide you with more foot traction when wet, giving you more safety and comfort. The board also comes with elastic bungee cords so you can secure your personal belongings and other gear, as well as D-rings on its tail so you can secure a leash or tie down other things to the board. Even the adjustable aluminum paddle comes with a soft fabric handle to lessen irritation on your hand. 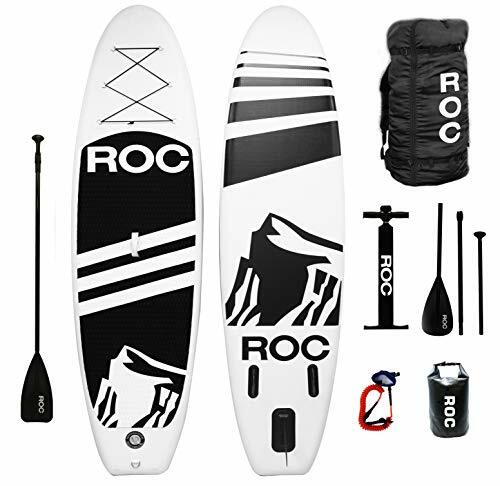 The X1 comes in a bundle that includes the board with a removable seat, the T-handle paddle, a high-pressure pump, a removable central fin, a backpack to carry all the equipment and a free waterproof phone case. There’s a reason why people buy inflatable SUPs – for the portability. The entire backpack bundle weighs a combined 24 pounds, which makes it light enough to transport as luggage on airlines, in or on top of cars and on animals such as horses or mules. The backpack comes with a single long strap so that you can also carry it to your favorite paddleboard location, although walking long distances with the backpack is not recommended. The X1 board can be rolled up to the size of a sleeping bag when deflated. It takes about 10 minutes to inflate the SUP with the high-pressure pump, which is also handy to have on hand, just in case. When fully inflated, the board should have a similar feel to that of a solid-core paddleboard. Price – The X1 bundle is priced under $600. Here’s each item’s estimated value board ($349), seat ($55), pump ($49), paddle ($49), fin ($19) and backpack ($39). The purchase also comes with a one-year warranty from Zray. Portability – The board’s weight is 16.3 pounds while the bundle weighs a combined 24 pounds. Durability – The X1 is built with military-grade drop stitch that is six-inches thick. Comfort and safety – The board has a shallow draft, so it provides better stability. The footpad allows comfortable movement around the board. Functional uses – This is an all-around board that can be used for recreation and touring on flat water and rivers. 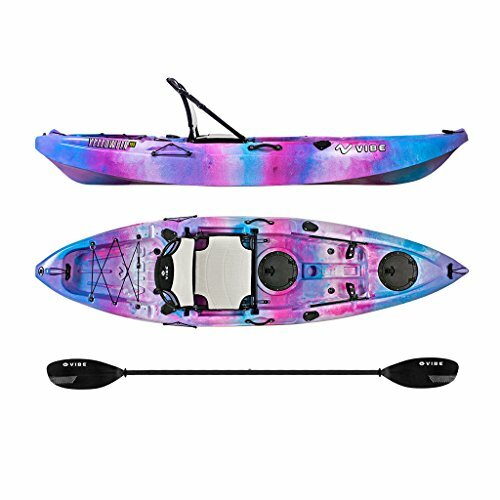 The Zray X1 Paddle Board has a current review of 3.9 out of 5 Stars on Amazon.com, based on 40 reviews. Many of those customers praised the quality of the SUP. Zray sells these boards online, and many customers don’t have any opportunity to physically inspect or test the board before making the purchase. One reviewer said she researched dozens of different brands and read hundreds of reviews before deciding on the Zray X1. “This is a great board and a great buy. I definitely recommended it,” she said. Another 5-star reviewer said the X1 is a good buy for any first-time paddleboarder. “You will also be surprised and happy with all it comes with,” she said. Most of the negative remarks on Amazon.com related to the high-pressure pump or its gauge. Some reviewers said it took to much effort to inflate the X1 properly using the hand pump. One person suggested that a motorized pump was needed to get the inflation to the recommended PSI. Others noted the PSI gauge did not work properly or register that air was being pumped into the SUP. Other reviewers, however, noted it would take several minutes of pumping before the gauge can begin to measure air pressure. Pick the right size board for you. Break out your best yoga meditation pose. Hold the paddle just right. Keep your head up looking at the horizon. Get ready to fall off! Beginners will enjoy the X1’s lightweight design, comfort and ease of transport. The included strap-on seat provides an additional option for new users who haven’t quite mastered the stand-up position or who prefer to sit and paddle. The X1 is the company’s most portable inflatable SUP and is well suited for mid-weight paddlers. The board glides well in light winds while it maintains good maneuverability. The price of the X1 bundle is also very good, and its one-year warrant provides peace of mind that Zray is confident in the quality of its products. For first-time paddleboarders who are interested in owning their own ride, the Zray X1 Inflatable Stand-Up Paddleboard should be among your shortlist, based on its price, quality and portability. Even if the X1 isn’t, Zray’s range of SUPs means that you’ll likely find the right paddleboard that fits your size and your needs.